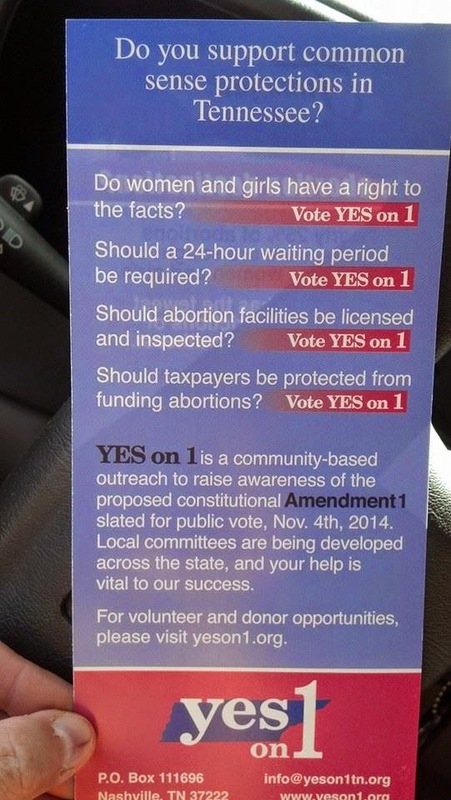 Okay....Tennessee Ladies.....help spread the word: YES for 1. Early voting begins October 15th and Voting is November 4th. Many people will skip over this voting item because they do not understand it. If you skip this and don't vote anything, it counts as a NO. Regardless of people's stand on abortion, EVERYONE....meaning both sides....should want regulations and safety for the woman, so vote YES for 1. Check out the website: Yeson1tn.org. It is a proposed pro-life amendment. Our state is the 3rd highest in the nation for performing abortions. This would require inspections, licensing, wait-period, & other safe guards not currently in place. Volunteers came to our church Sunday night to speak & get the word out. Please share this info with everyone you know.......post it on your Facebook account, send group e-mails out or any other way you have public access. Matthew 19:14 Jesus said, "Let the children come unto me....."
I keep blogging about my little preschoolers at church......because they are an important part of my life. Even Jesus recognized that the children would come to him without the baggage and with innocent hearts. I am a firm believer that if you get them young......and train them, you will have them for life. Today, I would like to tell you about three of my little girls. Carmen, who will be five the end of the year, was sitting with our son and daughter-in-law during the study of the Ten Commandments. She pulled her craft out of the bag and was explaining to them that the commandment was to "Remember the Sabbath Day, and Keep it Holy." She told them, that just means to go to church. Then she pointed to the picture of the ten commandment tablets and said, "Mrs. Kathy didn't tell me, but I already know....that is God's I-Pad." The last night of the Ten Commandments, Henley, who was four last week, was questioning what "covet" meant. She said she did not understand. I tried several different ways to explain it to her.........finally I looked at Aubrie and said.........see her pretty hair bow? It is okay to say that you like her hair bow and wish you had one too............but it would be mean to say, I wish THAT was MY hair bow and she did not have it. Aubrie spoke up and said if that happened she would break two rules.....thy shalt not steal and thy shalt not covet. Henley looked at me and said, "Oh, I think I get it.............is it kind of like when Joseph's brothers wanted his coat of many colors?" I told her that was EXACTLY right.......they were coveting his coat. It makes my heart smile to watch these little ones grow so much.....and to watch God and the Bible become a part of their everyday lives. "Oh my God, You will not delay, my Refuge and Strength always"
"I will not fear. Your promise is true. My Help with come through, always." "I lift my eyes up. My help comes from the Lord." These are just a few of the lyrics from Kristian Stanfill's chorus "Always." This chorus has been my heart's anthem this week. You see, my husband and I took our just turned one-year old, Eliza, to the Pediatric Urology Department at Vanderbilt yesterday. We spent the last week waiting for the appointment, not sure of what the doctor would say would be wrong, not sure of what kind of treatment plan or what the future would hold for our Little Bit and our family. Our worship leader led the congregation in singing this song Sunday and my eyes burned with tears as I sang. I felt in my heart the depth of these truths and I realized the Holy Spirit was giving me the gift of this song. He has brought this tune and these words to my mouth over and over again in the days that followed. He knew I needed to focus on these facts and that I needed to declare my need for His help over and over again. In this song, I found transparency in my relationship with Him this week. I continually confessed my inadequacy and His supremacy. He continually reminded me of His presence and gave me His peace. The week was crazy, busy as most weeks are. Yet, He was constantly there, using this song to gently remind me that I "always" have Him and He will "always" see me through. The doctor told us that we have at least one more test to go and then we will know more. Her condition is common and curable. Eliza, by God's continued grace, will be fine. We still covet the prayers and seek His provision. I will still sing this chorus and "always" connect it to these days and this lesson He is teaching me through them. I am so thankful that God uses music to convey His truth to my soul. Thank you God for communicating with me this way. I mean I can sing, but I can't sing in such a way that would cause the average person to take notice. I can sometimes stay on key, but I was the kid in children's choir at church that had to have the leader show me with her hand when the notes went up or down the scale. However, I love to sing my worship. I can make a joyful noise with the best of them. I love to get lost in the music and sing for my Audience of One. Recently, this is where the Mercy Me song, "Greater," comes in. Over the last three weeks I have worshipped unashamedly singing it in my shower shampooing my hair, in my car with the windows rolled down, running my errands, walking down the church hallways, with my family and all alone. I've whispered the lyrics and shouted them too. I have danced with my eyes closed and prayed the truths with my eyes wide opened. In my daily struggle to keep my focus on Christ, this song has been, (no pun intended! ), instrumental. I have needed these scriptural truths sung into my life to help me claim them as my own. "Greater is the One living inside of me, than he who is living in the world." "I am Holy, Righteous and Redeemed." "There are days I lose the battle, grace says that it does not matter, for the cross already won the war." "I'm learning to run freely, understanding just how He sees me and it makes me love Him more and more." Each line of this song has resonated within my soul and I have been able to claim these truths as my own as I sing them back to the God who makes them all truth. So . . . Maybe I can't sing, but I can most definitely worship. And, for me, worship is as much for me as it is for the One I worship. It is crucial to our relationship. It is critical for my spiritual well-being and He alone deserves that focus. How / where do you worship through song? The Christian band, Mercy Me, has a new (or at least new-to-me!) song out called "Greater." I love it. I love the beat, the harmonies, the lyrics, the truths. I love it. In the last two weeks or so, God has used it to speak to me in a number of different ways. Then, yesterday, in worship we sang "Always," a worship chorus by Kristian Stanfill. The lyrics were again penetrating right into the depths of my heart. I had heard and sang the song before, but yesterday it seemed that the Holy Spirit just made the words come alive. Both of these songs are scripture-based. They are loaded with truth. I thought I would use my turn to blog this month to reflect on what God is teaching me about Him through these songs. I'll go into that more soon. But, in the meantime, I am sure there are songs that God has spoken or is speaking to you through right now. What are they? Please share the titles. I'm always looking for more great music to help me worship and stay focused on Him. More than anything else I wanted to be class favorite. During my eighth and ninth grade years I would pour over my older brother’s annual (now they are called yearbooks) gazing at the pictures of each class favorite in their beautiful formals, wide smiles and stunning hair all fixed for the evening. Full page shots. So popular. So well loved. I wanted that!! Because then….I would be happy. My sophomore year finally arrived. I was now in high school and at the end of that year I was nominated for sophomore class favorite!! What?? Was my dream about to come true?? Was I finally going to be happy? During the Favorites Ball dance my stomach was in knots as I danced to songs by Chicago and Three Dog Night and a plether of other amazing bands with my crazy date, Bill. Pretty soon they were going to announce the winner!! The five nominees all lined up on the stage….the announcement was about to be made….the Sophomore Class Favorite is…..Dana Henderson!! What?? What did they say?? Was I sophomore class favorite?? Was I now going to be happy?? Oh the euphoria and delight and amazement that flooded my mind and heart! I was sooo happy!! For a little while…Before long, I was not happy. It wasn’t enough. I wanted more. Fast forward several years and I marry this handsome, ruddy, Godly man, Ernie, and I just knew he was going to make me happy. That was his job as a Godly man, right? To meet my needs? I envisioned that we would go to church together, sit together, and minister together….BUT, since I didn’t grow up in church, I was in for a wide awakening when we went to our first church!! What? We sing a zillion verses of “Just as I Am”? What? You have to go before the sun comes up and we can’t drive together? What? You have to sit up front?? Not with me? What? You are a messy person? It doesn't bother you that the toilet paper roll isn't on the roller? I was not happy. It wasn’t enough. I wanted more. Fast forward a few more years and I was convinced that new kitchen countertops and a tile backsplash would make me so happy! After hours of pouring over pictures and researching options; a (wanna-be granite) countertop and a (wanna-be slate) tile backsplash donned my kitchen and I loved it!! And it made me so happy…..for a while. It wasn’t enough. I wanted more. To be honest, I could recount many situations where I had convinced myself that I’d be so happy if __________. As Believers we know that contentment only comes from God….certainly not from popularity or husbands or countertops….so why do we constantly fall in to the same trap of looking for happiness “in all of the wrong places”? Paul had to “LEARN” how to be content! We do too! I get so frustrate with ads and commercials today. Each one seems to tell women of all ages what we should be wearing, what to eat so we have lean, rippled abs, what product to use to keep from getting wrinkles and on and on. I get discouraged just watching the ads but when I go to purchase clothing, my frustration goes up a notch. My body description is this: short with CURVY hips and football player thighs and calves. No, designers, I cannot wear “skinny jeans!” Please do not force my body into a pencil straight skirt or tight shirt! No designers, I do not wear short skirts or dresses because I have cellulite and veins on my legs. As for my skin, I am blonde with fair, freckled skin. Crow’s feet surround my eyes and my inherited my grandmother’s mouth. I slather lotion and moisturizer on my body but I am dry except for my face and hair which is oily. (Thankfully, I believe this oily skin somewhat slows the wrinkling process). Thankfully, we do not need to find our self-assurance in what the marketing world thinks. As Christian women, we can look to the Father for our assurance. Think about it. YOU ARE AN AMAZING WORK OF ART! We are individuals created in the image of the Father who adores us. We come in all sizes, shapes, colors. We all have unique abilities suited just for us. As women, we are able to be a mother, a nurse, a friend, a teacher, a taxi driver, a coach, a lover, a maid, a chef, etc. We excel at multitasking and can often exist on a few hours sleep. The other day I was going through one of the many boxes I brought home from my parent’s home. My mom, a former teacher, kept EVERYTHING that my brother and I ever did in school. One of the items I discovered was a book of highlights from each of my school years. It started with Kindergarten and ended with my senior year of high school. I settled down on my sofa with a handful of M & M’s, this little book and my husband. I pulled out my first “report card.” We started laughing immediately because it was my Kindergarten report card. I quickly scan the check marks and soon discovered my lack of math skills began here. It stated, “Needs help with number recognition.” Suddenly I was overwhelmed with only two memories of Kindergarten. I went to the Methodist church for it. Second, a friend and I got in trouble for talking during nap time which resulted in punishment at our respective homes. (By the way, this friend was best man in our wedding, one of my husband’s friends, and to this day remains like a brother to me). Do you ever look back and discover people who have touched your life or encouraged you to purse a dream? I look back at the churches we have been honored to serve in and recall people who ministered to us over and over. In our first church out of seminary, there were two couples who literally took us in as family, loved us, and allowed us to grow up at their church. In two other churches, God placed two older men in our lives who quickly became adopted grandfathers to our sons. These men took the time to teach my boys to fish, hunt, and enjoy nature. In addition sisters, I can tell you I have two of the best friends in the world from a couple of the churches we served in. These ladies, non-staff wives, were placed in my life to encourage and support me. Our friendship runs deep and I know without a doubt these friendships will carry us into eternity. What is amazing is that both these ladies have met each other and now they are friends as well. Yes, looking forward is always a great thing to do, but looking back reveals some of the blessings and lessons we have learned. As you look back over your ministry life or just life in general, can you recall people who touched or encouraged you in a significant way? Share it with us and if possible take a moment to call or write that person. Of course, there are none of us who are “perfect” in this role, but I believe the wives who are living out this assignment from the Lord in a successful way are prayer warriors for their husbands (which I addressed in my last blog) and they are truly committed to faithfully serving the Lord no matter where they are planted. So how do we faithfully serve where the Lord puts us? We all received our “calling” in different ways: some knew before the marriage, and some after. Some took the news gladly, others not so much. But God does not make mistakes, and you are a pastor’s wife for such a time as this! Yes, we all can faithfully serve where we are planted. Never fail to constantly draw near to Christ in your own personal Bible study and prayer time. I have found that reading His Word and “crying on His shoulder” in prayer brings me such a feeling of peace because I know that He hears me. So, I guess none of us will ever be “expert” pastors’ wives, but we can be faithful pastors’ wives, all to the glory of God! Is it really possible for someone to be an expert at being a pastor’s wife? Webster’s Dictionary defines “expert” as: 1. (adjective) showing special skill or knowledge; 2. (noun) a specialist. Do you possess special skills and knowledge that make being a pastor’s wife a breeze (please share it with the rest of us!) Are you a specialist in the areas of encouraging, praying, giving, listening, etc…? The list could go on. Being an expert, now that’s something to ponder. The Scriptures give no instructions for pastors’ wives. There have been many books written to encourage pastors’ wives. There have been countless seminars that minister to the needs of pastors’ wives. There are wonderful support groups out there among the various communities of pastors’ wives. Yet how does one become an expert in this role? Maybe there really is no such thing. But I wonder if the truly successful wives practice something over and over again that all of us should strive to emulate: praying for their husbands without ceasing and making a commitment to serve the Lord no matter where they are planted. I am sure we all do this to some degree, but I could do better, what about you? In this blog I want to address the praying issue, and in my next blog I will expound on making the commitment to serve. (3) His Physical Health and Strength---Pastors need to have a certain amount of physical stamina in order to effectively handle the demands of ministry, balance family life, and work an additional job (if he is bi-vocational). In 3 John, verse 2, God’s Word says “Beloved , I pray that in all respects you may prosper and be in good health, just as your soul prospers.” Just as your husband’s spiritual health is of the utmost importance, his physical health is very important also. Of course, praying for good health does not mean that he will never get sick, for we all succumb to illness at times. Yet ask the Lord to give him the knowledge to take care of himself by scheduling regular doctor’s visits, getting adequate rest, and being open to occasionally getting away for rest and relaxation. These are just a few areas to pray for. Ask the Lord to show you more things to petition Him for regarding your husband. Although none of us may be considered “experts” in this role, I believe our Heavenly Father has gifted us all in different ways that we may serve Him, and serve Him well as we stand beside our husbands in ministry. I have been a pastor’s wife for 10 years, and I am still learning!